1. On behalf of the Kokomo Silent Auction and Raffle team, THANK YOU to all the Wildwood families who participated in this great event. The raffle and silent auction were a huge success and we couldn’t have done this without you. There are so many families who helped by donating items and others who donated their services or specialities. With these generous donations we were able to put together 13 raffle baskets and 35 silent auction items. We also want to thank these local businesses who donated to Kokomo’s Silent Auction: 722 Bier Haus, AEIR Dental, Alive Danceworks, Andaros Pizza, APT 22, Aussie Rules, Blue Ice Diamond Jewellers, Colour on Fire Art Studio, Decca Design Inc., Enmax, Heritage Park, Kit Interior Objects, Little Footprints, Louise Gow Hairstyling, Mama Massage, Miko Photography, My Favourite Ice Cream Shop, RS Hair Studio, Safeway Westbrook, Signal Hill Chiropractic and Wellness Group, Skinns Beauty, Sproutz, Staples, Triple Flip, West 85th Dental, Westbrook Mall, Westside Recreation, Wildflower Art Centre, YYC Catering Company, Calaway Park, and Total Skin Care Centre. These local businesses generously donated items to our silent auction, ranging in value from $25-$600!! We are so proud to be part of a great group of Wildwood School Families who love and support our school! 2. Skate Shack is here after school next week on Monday, Tuesday and Wednesday from 2:30 – 3:30. Students must return their Acknowledgment of Risk forms to Mr. Toews and have a ride home to participate. The skating club is dependent on the community rink having enough ice. 3. We will practice an External Threat in the morning on Tuesday, March 8. 4. Parent/Teacher Conferences March 17, 12:30 – 3:00 and 4:00 – 8:00. In next Friday’s Week at a Glance we will give you directions on how to book your conference that will open on Saturday, March 12th at noon. 7. Reading Tip: This week was National Book Day. Share your favourite book with your child. Have them share theirs with you! 1. If you guessed our secret guest was Mayor Nenshi, you were correct! He read the story “The Home Team – Calgary Flames”, by Holly Preston. 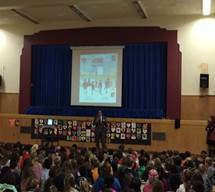 He then met with our Grade Six students that were part of the classroom governments. Four of our students asked Mayor Nenshi questions and will be on “The Talk of the Town” on CTV. We will let you know the date it is on the news. It was all so exciting!!! 2. Thank you to Mrs. Connell and Mrs. Mitchell for the great day of “Carnival”. Thank you to Mrs. Singh for the great labouring over the hot stove for the Maple Syrup and to all our volunteers that helped. It was such a great day and without all the efforts of all involved it would not have happened! 3. Kokomo Beach is next Friday, Feb 26 at 6:00 pm. We are still short of volunteers and need help! Even if you can do one shift it would help immensely. 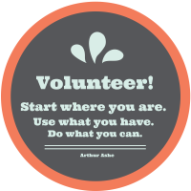 The number of volunteers will determine the number of games we are able to offer our children and families. Please email Heather atwildwoodschoolcouncil@gmail.com to tell her what shift you would like!!!! We are getting close and need volunteers in time slots in order to plan the games!!!! 4. We are excited with the great donations that have happened for the Silent Auction. We will accept Cash, check or credit on that night at Kokomo Beach! 5. What Is New From Student Voice? So far, classes have reported a total of 1039 pairs of socks! There is just one more week to gather socks. If you have not brought in socks yet, there still is time. How AMAZING!! 7. Please see the attachment from our Health Nurse, Jane Spice. 8. Please see the Calgary Reads attachment. 9. Reading Tip – Alphabet Scavenger Hunt - Have an alphabet scavenger hunt to look for things that begin with each letter of the alphabet. You could look in a book, or list things in your home or community. 1. Wildwood School is very excited to have another guest reader next Thursday, February 18that 10:30. Hint: our surprise visitor is known to EVERYONE in Calgary. 2. No school February 11, 12, and 15 for Teachers Convention and Family Day. 3. Kokomo Beach is in coming up in 2 more weeks and volunteers are needed! This great family friendly event can't happen without you, the volunteers!!!! Please email Heather at wildwoodschoolcouncil@gmail.com to tell her what shift you would like!!!! We are getting close and need volunteers in time slots in order to plan the games!!!! 4. 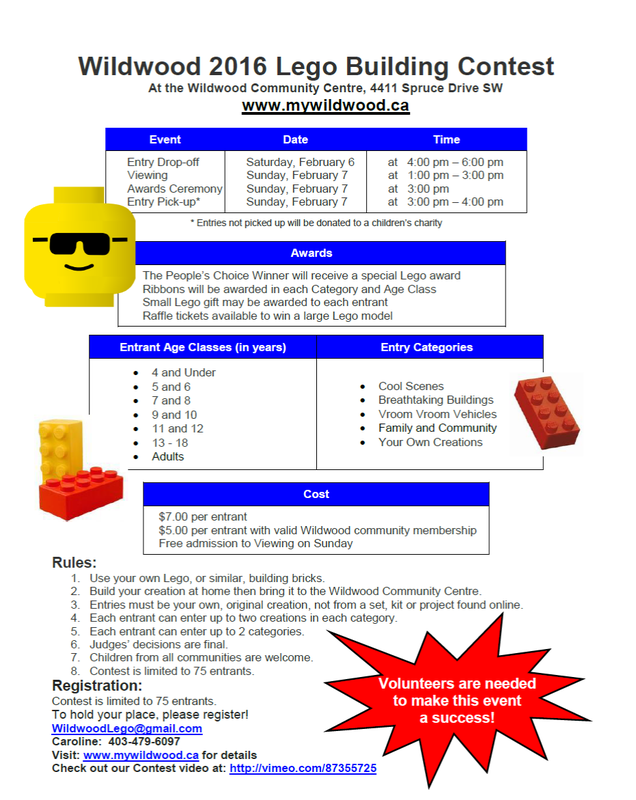 Carnaval is coming to Wildwood School on Friday, February 19th. This is a celebration of French singing and dancing, with some maple syrup tasting. If you would like to help with serving the maple syrup, please contact Madame Mitchell at ramitchell@cbe.ab.ca. 5. Student Voice invites you to be part of JOY SOCKS. We are asking you to bring in a pair of brightly coloured socks that you think will make someone smile. Please see last Week’s Glance for full details. We are going to collect socks throughout the month of February. 6. Extra-Curricular Clubs starting soon – Basketball, Ukulele, Film Making, Skating, Carton Drawing, Building, Drama, Chess – to name a few. Make sure your child watches for announcements on how to join. 7. Please see the attachment from our Nurse, Jane Spice on March is Nutrition month. 8. Reading Tip – Game On for Family Day: Start family board game night and play a different game each week. Family members can take turn reading instructions and game cards as well as keeping score. Have a great loooong weekend! 1. 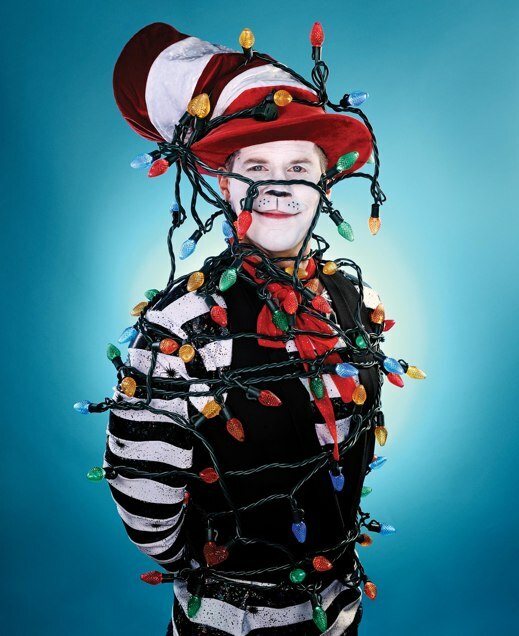 Do you recognize this Cat in the Hat?? This was our surprise reader on Family Literacy Day! This is Dave Kelly known to many of us from the Morning Breakfast Show and just recently at the Lunchbox Theatre. We talked to Dave about his work in television and in theatre and the connection to literacy and the importance of being able to read and write. He read the story the “Interrupting Chicken” by David Ezra Stein and used such great voices that we were all engaged in the story and we laughed a lot. What a fun day as students worked with their buddies and engaged in literacy activities! in the LLC, please email Mrs. Hilda Bakuska at hibakuska@cbe.ab.ca. 3. Report cards will be coming home this Friday in a white envelope that needs to be signed and returned to indicate you received the envelope. Celebrate your child’s successes and growth and then set goals for the next term. a. Answer “don’t know” if you wish your response to count as a negative response. Skip the individual question if you don’t know the answer but don’t want the response to count as a negative one. 5. January 29 – February 5 - Division I Hip Hop Dance Artist in Residence coming to Wildwood School. 6. Kokomo Beach Blast 2016 – This is the 22nd year for Kokomo Beach. Our students remember this for years to come. They have so much fun as they play games, eat and dance the night away (at least until 8:30). We are gearing up for our ‘FUN-raiser’ on Friday, February 26th. Like any great event it can only happen with volunteers and we need lots. There is a list of duties/jobs to fill. These jobs are all done in shifts, 1st shift - 5:45 – 7:00 & 2nd shift - 6:45 – 9:00. There are also jobs that happen before and after the event - set up 12:30-4 & take down 8:45-9:45. See the attachment that lists the jobs to volunteer for! 7. Kindergarten Registration for 2016-2017 ongoing! 8. Reading Tip –ABC Life Literacy Canada encourages family to 15 minutes of Fun learning together every day! See the attachment for 15 activities for 2016 to have fun with your family! This is year 22!!! Can you believe that!!! We need people in the following areas: First come first serve! Door duty: (8 volunteers) collect the money & stamp each guest as they come through This job typically ends long before 2nd shift is over. Coat room: (2-4 volunteers) keeping an eye on the coat room, and helping direct guests to the area they are looking for. Games: (60-80 volunteers) This number could be lower, if we get a good turnout from the Vincent Massey volunteer group. Dance chaperones: (10 volunteers) keeping an eye on the kids, keeping them from areas they shouldn’t be, off the stage, etc. Concession crew: (12 volunteers) slinging pizza, and candy to the kids, and coffee to the parents! Take Down crew: (10 volunteers) helping get the decorations from the dance put away; hallways returned to normal; and general tidying up of the school. This is 8:45-9:45 or so. Photographer: this is an open call to any photographer parents we have at Wildwood School! We had a fun Photo Booth set up for the kids & parents last year, and we would love to have it again. The photographer from last year no longer has children that attend this school, so we need someone to offer their professional services!!! Contact me for more info!! Jellybean Guess: (2 volunteers) counting the jellybeans/candies and setting up the table; manning the table for the evening. Donation Prizes: (3-5 volunteers) asking local businesses for donations for prizes; gathering donations that are offered; packaging donation prizes; selling tickets on prizes for the evening. I am thrilled to introduce myself as the principal of the new West Springs/Cougar Ridge middle school. I have been an educator with the Calgary Board of Education since 1992. Throughout my career I have pursued my passion for middle level education and strived to develop schools where children are connected to their school, their teachers and their learning. I have worked in five different CBE middle schools and was a member of the teaching team when Tom Baines School first opened. My leadership experiences include assistant principal at Arbour Lake School and my current positon as the principal of Thomas B. Riley School. I am looking forward to the opportunity of opening the new West Springs/Cougar Ridge middle school. As the principal of Thomas B. Riley School, I will continue to focus on my responsibilities there during the next few weeks and will support this school’s transition to a new principal. At the beginning of April, I will be dedicated to the work of opening the new school. In the months leading up to the new school’s opening, I will be doing many things to prepare. Some of that work will include meeting with parents and students, hiring staff, determining the organization of the school and preparing the school budget for the 2016-17 school year. As you may already know, the Calgary Board of Education has 21 new school construction projects underway in communities throughout Calgary to support its growing student population. The new West Springs/Cougar Ridge school is expected to open in January 2017 and will offer regular programming to students. I am excited to work with parents, students and staff to build a school community that reflects unique qualities of our students and families, and is a supportive and positive place for your children to learn. For information on the new school and answers to some of your questions, visit cbe.ab.ca/schools, click on Building and Modernizing Schools and then click on the link for the new school in your community. Please check back regularly for updates as new information is posted when it becomes available. You can also e-mail cbecommunications@cbe.ab.ca with any questions related to new school construction and accommodation. I look forward to meeting you and creating a dynamic middle school for your communities. 1. School Council meeting Monday, January 18, 6:30 - 8:00. Everyone is welcome to attend! 2. Z pass - Next week your child will receive their new bus pass known as a Z pass. Your child will need to carry this pass every day when riding to and from school. Please watch for a letter with more information coming home next week. 3. Attached is a message, sent on behalf of Alberta Health Services' Medical Officers of Health, for distribution to all school parents and staff, regarding the importance of measles immunization. 4. Reminder Wildwood School is a nut free school. Due to medical and life threatening allergies, please ensure that all foods brought to school contain no nuts of any kind, including peanut butter or Nutella. 5. Kindergarten Registration for 2016-2017 school- year has begun. Please let your neighbours and friends know. We are excited with the registrations we have so far! 6. Wildwood Library Learning Commons (LLC): Our Div. 2 students (grades 4, 5 and 6) were shown how to check their own library accounts and resources online through CBE e-Library. Div. 2 students are to review their library accounts independently, at home or at school, prior to their book exchange date so they know what books they have, and when they are due (independence & mastery). By bringing back their books on time, they are also learning responsibility and generosity. Ask your child(ren) to share with you how it's done. 7. January 27 if Family Literacy Day! We are having a surprise visitor coming this day to read to us!! Watch for more information and upcoming HINTS!